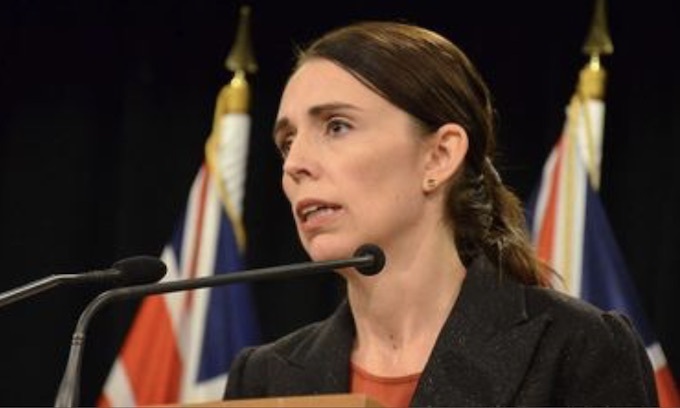 On April 10, 2019, New Zealand MPs voted almost unanimously to pass draconian gun control laws in the aftermath of the Christchurch mosque shooting. As a result, “military-style semiautomatic firearms” are now banned. New Zealand’s Prime Minister Jacinda Ardem stated she would be signing the legislation into law, claiming “these weapons were designed to kill.” The fact is these firearms were designed for civilian recreational shooting, and the original military version of these weapons that are fully automatic (true assault rifles) were designed to wound enemy soldiers in war, which tactically is better than killing because they tie up more enemy troops. On March 15, 2019 an Australian man suffering from the mass shooting derangement syndrome undertook a terrorist attack at two Islamic mosques in Christchurch, New Zealand, during Friday Prayer. The attack resulted in 50 dead and at least 40 wounded. Although the man has been described as a right-wing, white supremacist by the internationalist and mainstream liberal media, the reality is that the mass shooter could best be categorized as inhabiting the far left of the political spectrum. The deranged madman wanted to promote incendiary gun control laws in America that would result in mayhem; instead he caused drastic gun laws to pass in his own country, and they passed without any opposition. 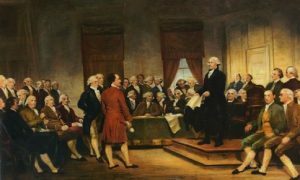 We can thank our Founding Fathers for their foresight in drafting our constitution for our American Republic and warning us about the shortcomings of a mass democracy in which the passions of the majority can be aroused in the heat of the moment to pass draconian laws that trample individual rights and promote tyrannical government in the name of safety. Miguel A. Faria, M.D., is Associate Editor in Chief in socioeconomics, politics, medicine, and world affairs of Surgical Neurology International (SNI). He was appointed and served at the behest of President George W. Bush as member of the Injury Research Grant Review Committee of the Centers for Disease Control and Prevention (CDC), 2002-2005. He is the author of Vandals at the Gates of Medicine (1995) and Cuba in Revolution: Escape From a Lost Paradise (2002). His upcoming book is America, Guns, and Freedom: A Journey Into Politics and the Public Health & Gun Control Movements (2019). His website is https://haciendapublishing.com. The reason for our 2nd amendment was fear of our government and you can see why here and they are trying hard in the U.S. to do the same thing. And the fact, we are the only country in the world imo, who has that sort of protection, singles us out as great for just that reason.. Think it can’t happen here? just listen to some of the 2020 hopefuls on the dumacrat side, talk about try to one up each other on stupid, not to mention shredding our constitution. Yea, starting with Swalwell!! If the libtards ever get their way, and disarm us as a population, THEY WILL then start the rounding up of anyone who identifies as conservative, for their re-education camps..
“Rounding up” Conservatives, even here in deep-blue California, would be a colossal mistake. Even bigger would be trying to confiscate firearms. Many Conservatives are well-armed, and there aren’t enough pro-left SWAT teams to take on all of us. It strikes me as somewhat funny that NZ lawmakers (and California politicians) believe that the truly deranged bad guys that own military style weapons will turn them in. Neither will anyone who has reason to mistrust the government. Never said the left was smart! Do the citizens of New Zealand REALLY believe this will end these types of shootings in their country? It’s more likely to make it worse because they are now leaving themselves totally at the mercy of the armed criminals and psychopaths. OR to an enemy intent on invading and taking them over..
New Zealand will regret this knee-jerk reaction. Violent crime always increases after bans on weapons takes place, as law-abiding citizens are less able to defend themselves against criminals who will ALWAYS have guns, no matter what laws are passed. We must never allow this to happen in the USA! From what i hear, only 38 people have abided by the mandatory give back.. I wonder, will their police force ENFORCE The ‘arrest those who don’t” part?? Fact.. the left cares not about stinking facts.. These devils gravitate to government so that we are all nothing but new born babes before them. It is a shame because until 1996, NZ had moderate gun control laws! then they began to pass bad laws. Now gun owners will become the outlaws and the criminals will be the same as ever — criminals who will run roughshod over the law, and women can not defend themselves! Both NZ and Australia are going down the rabbit hole..
“Never trust a government that doesn’t trust it’s own citizens with guns.” –Benjamin Franklin. The “Good Guys” are Illegally Pushing for Door to Door Confiscation through Red Flag Polices – Not Law! Learn From History.. Furthermore, why is their acting government detaining and charging their own citizens for sharing the video of this alleged massacre? After all, it was broadcasted LIVE on Facebook! Here in America, and like that of the shooting that took place at Parkland High School in Florida, all videos were banned from big tech companies from the likes of Facebook, Google, Twitter, etc. Within just six days, they banned military-style firearms. Maybe they thought it telling when the CIA-controlled media lied while promulgating that the masses are turning in their guns (A tactic to belittle opposition), when in fact, their gun control measures completely backfired. Now, we are seeing the alleged “good guys” like Ted Cruz and Lindsey Graham beginning to push for Red Flag laws, which are not law. “Shall not be infringed” means shall not be infringed (2nd Amendment of the Bill of RIGHTS). In the end, this will move to door to door gun confiscations if these criminals are not lawfully stopped. Consider what this new administration is doing to Americans today could have never been done under that of criminal Barack Hussein Obama’s administration. Never. We are seeing that these alleged massacres happen while the government mysteriously waits in the shadows only to disarm or ban shortly thereafter. Furthermore, if you trust in a government that sanctions the murder of its own children (Proverbs 6:17) to represent you, then you have ignorantly taken on that which runs counter to that of American Government.